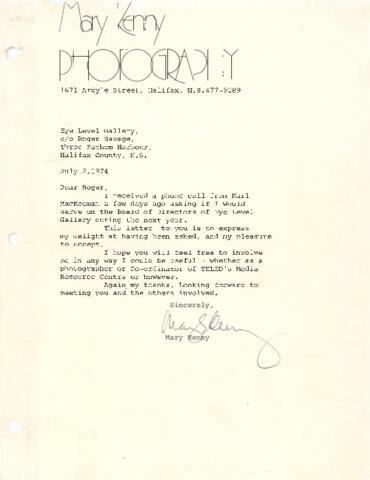 Item is a letter from Mary Kenny to Roger Savage written on July 2, 1974. In the letter, Kenny accepts an offer from Karl MacKeeman to serve on the Board of Directors of Eye Level Gallery. Kelly offers her services as a photographer or as coordinator of TELED's Media Resource Centre.